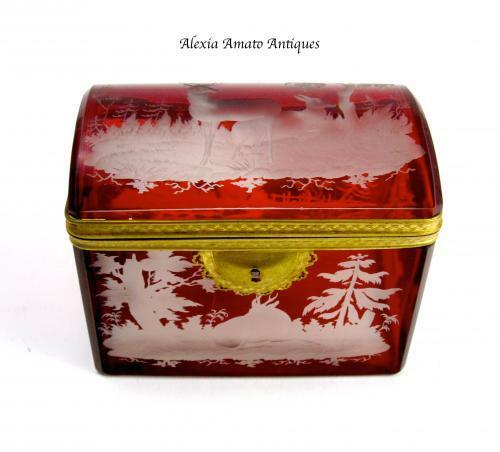 Antique Bohemian Ruby Red Casket Engraved with Woodland Scenes with Deers, Birds and Dogs. Each Panel is Finely Engraved from Ruby Red Crystal to Clear Crystal so as to allow Each Scene to come to Life. Lovely Dome Shape and Dore Bronze Mounts Engraved with Floral Design.